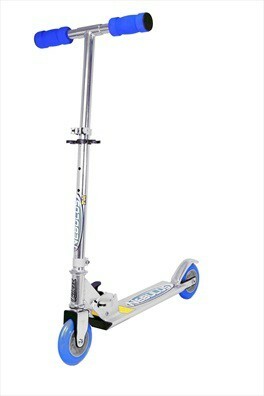 The Nebulus TX 2 wheeled chrome folding scooter was shortlisted for Best Active Toy of 2009 award by the British Toy and Hobby Association and is a popular choice for active kids. The Nebulus TX has an easy fold and lock mechanism making it easy to fold down and it can be adjusted to 3 different height settings to suit the child. 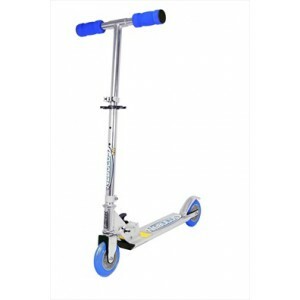 The Nebulus TX features cool Ozbozz decals, PU wheels, ABEC bearings, secured steering, clip off grips and rear brake. .
- Spare parts warranty included.